I need ya, buddy! "Right away, Michael!" 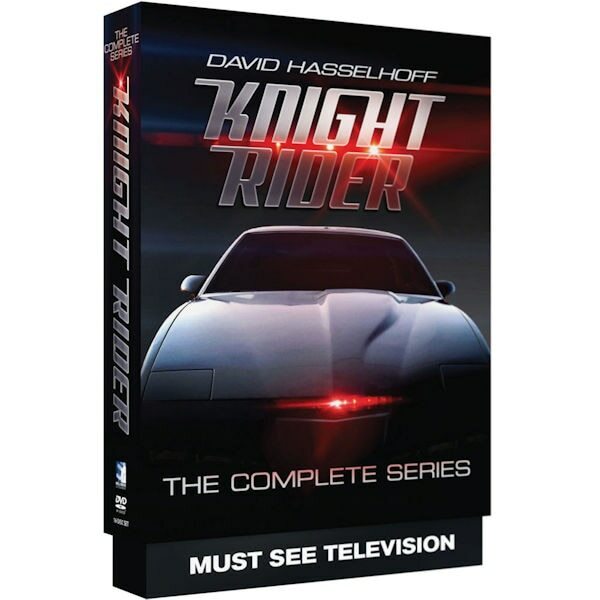 With help from his artificially intelligent, self-aware, and nearly indestructible car, K.I.T.T., crime fighter Michael Knight kept guys of all ages glued to their TV screens in the 1980s. David Hasselhoff stars as the mysterious, high-tech Knight in an action series that left others in the dust. With Edward Mulhare as Devon Miles and Richard Basehart as the narrator. Includes all 4 seasons. 90 episodes, 73 hrs, 16 DVDs.